ABS plastic-White body, click-action ballpoint pen. Slim ergonomic design, curved clip. Shipping Weight: 1000 units at 18.7 lbs. Bottom line, the Javelin Pen is one of the best promotional pens on the planet! And we don't just say this because of its insanely-affordable price tag. Sure, it's the most reasonably priced of all the cheap imprinted pens you'll find in the universe, but there's so much more to love about the Javelin Pen ! • The barrel of these custom pens is also nice and shiny so your logo comes out looking crisp and clean. Don't wait for people to just stumble into your store or website. 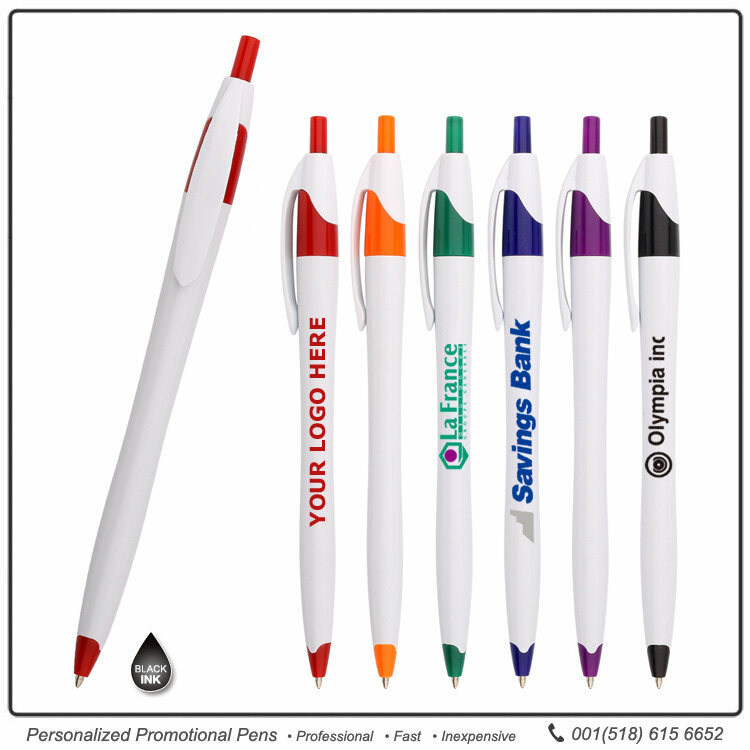 Actively promote your brand when you call and order the Javelin Pen from JAVLEINPEN.COM! Other colors, Then check out Javelin Pen, Javelin Pen -Silver, Javelin Pen -Frosty too! Some easily broke and came apart, but overall it was good. Really like this pen! It writes so smoothly and looks good. This is the second time that we've purchased these pens. They are a favorite of the staff and of all of those who receive them from us. They look nice and feel nice in the hand. These are the pens that we plan to re-order for teh foreseeable future. Keep them in stock! 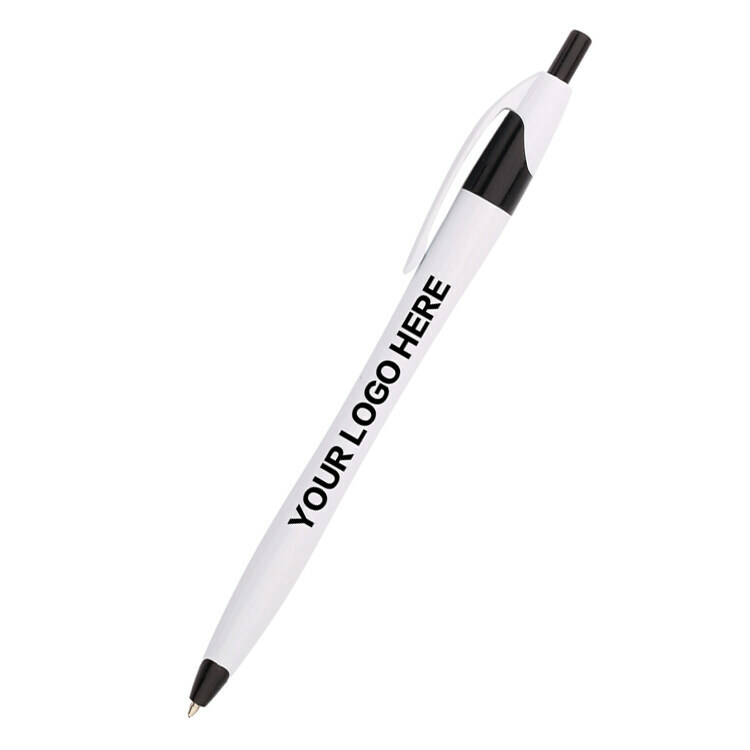 Great Customized pens to good to give to customers. If you want a good custom pen that your customers will love. I loved that I could personalize pens without an outrageous price. Also, they write really really well! Everyone loved them at the baby shower. 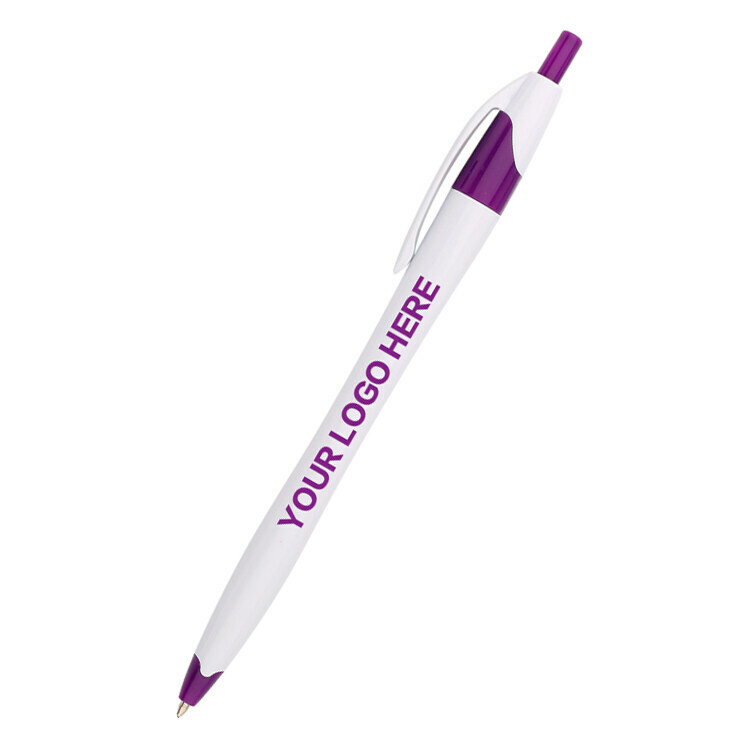 Our logo looks great and the pen itself is a good pen! I am sure our employees and customers will love their ink pen. A very stylish, yet affordable pen. Writes really smooth and looks very sharp. Works great for anything from function to promotion. I purchased the White/Black colored pen. I really like it! Already started giving them out to others. Pens work well and show my business information clearly. Quality of this product is great. It is a great product for giveaways to advertise our company name. The representative that I spoke with was extremely helpful. Simple, affordable and durable. 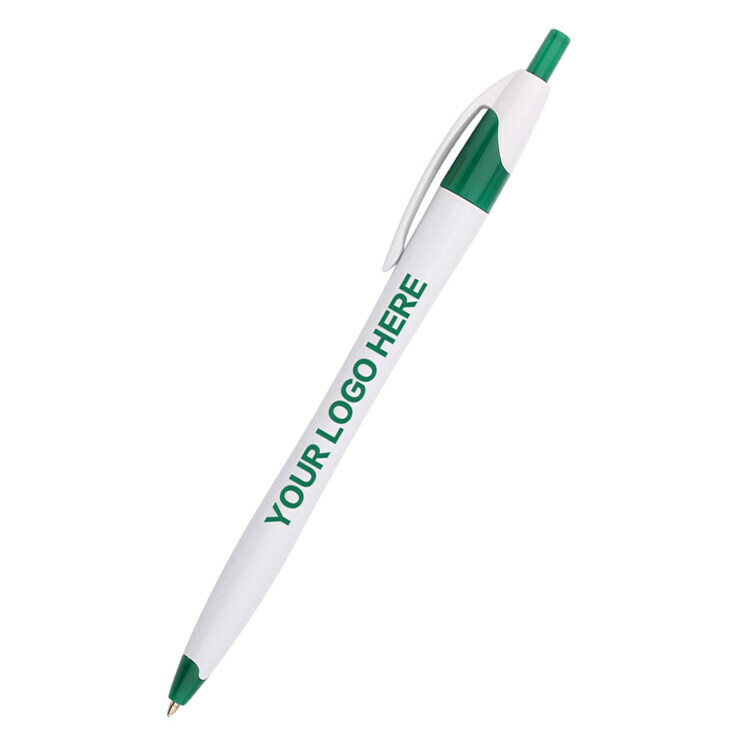 From a marketing standpoint, you can't go wrong with these pens for your company branding. We wanted something that was a little nicer than some of our regular giveaways. 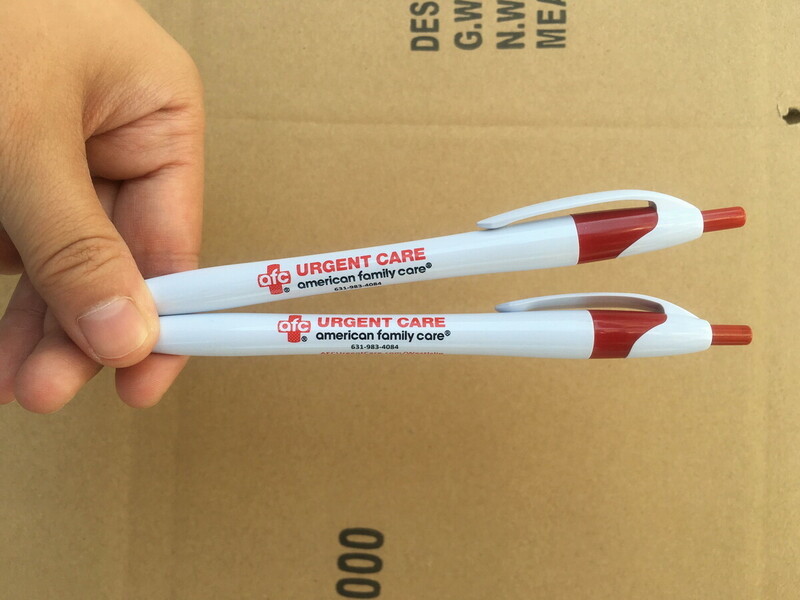 We LOVE our normal, everyday giveaway pens but for smaller groups of people - this one is awesome! for the price you can't beat the pen. some of the pens don't work at first. We ordered 1,000 and last minute rush. Customer service was super helpful and had them for our event. the logo on the pens were exactly to spec and we were very satified with them and comfortable distributing to our client base. Our Clients love these pens. They were able to fit our entire logo and name on the pen, and they write extra smooth.THANK YOU VERY MUCH!